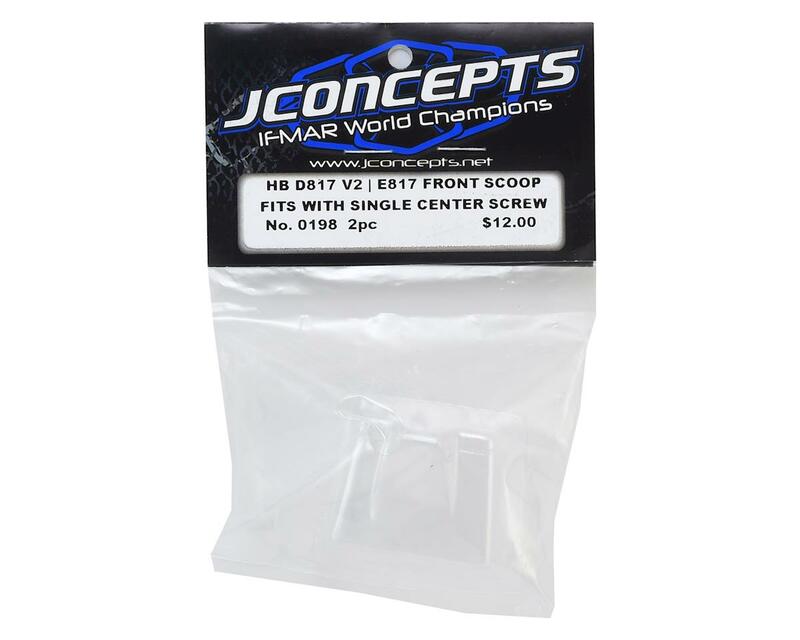 The JConcepts HB Racing D817/E817 Front Scoop replaces the front nose-cone on the vehicle with a front wing design that has shown to produce enhanced steering characteristics. 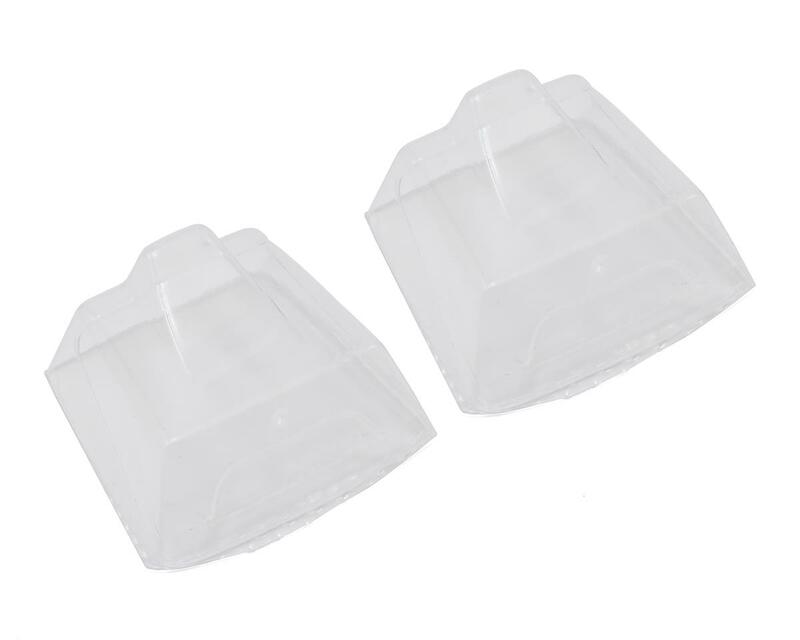 The front scoop includes 2 pieces per package so a driver has enough to outfit their nitro and e-buggy with the same package. Reports from the pit area revealed an increased feel and sensitivity in the larger sweeping sections and helped jumping attitude in tricky jump sections of the track. Be prepared, have the options and get dialed in with JConcepts.